Christy Turner, the Dementia Sherpa, shares the secret to creating better days for those with dementia. Is it really possible to not argue? 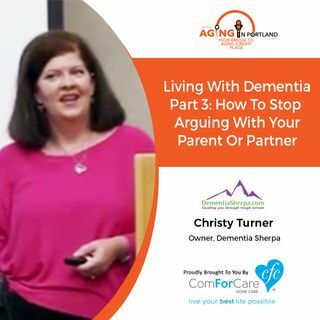 Stop by today's s program to hear Christy pinpoint 16 strategies that will change your life and the way you communicate with loved ones living with dementia.